to all Muslims from every corner of the world! I had an absolutely amazing first day of Eid with my Mum and friends and the rest of the Dunedin community yesterday. We even appeared in the local newspaper! I don't care that it's a horrible shot of me (oh who am I kidding, of course I care) but I'm just so happy that there's a positive article about Muslims in the news. Eid in New Zealand is not too different from Eid in Malaysia but I definitely think it's more interesting because the Muslim community here is very diverse. It's so nice to see the different cultural outfits and dresses, although some do opt to dress casual chic. I just love seeing all the beaming and happy faces too! After prayers we headed to the town octagon (yeah we don't have a town square 'cos octagons are way cooler). Here you'll see 2 beautifully dressed kids and 2 very grown up kids. Lamya did this by herself. Ah-mazing. 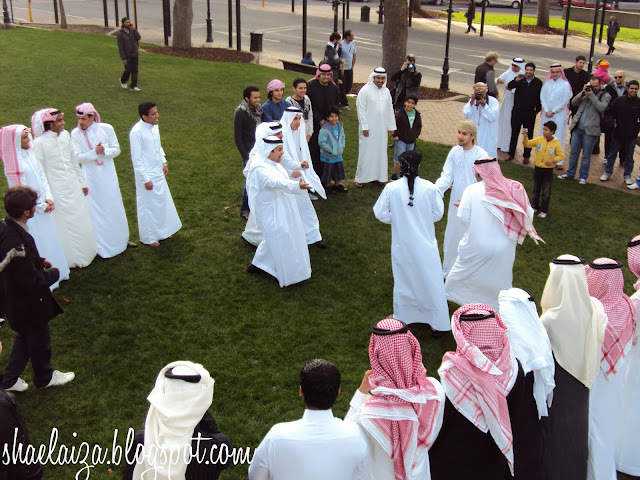 What some of the men wore; taken at the Octagon during an annual Eid performance done by Arab men from various parts of the Arab region. Back at the masjid for breakfast. 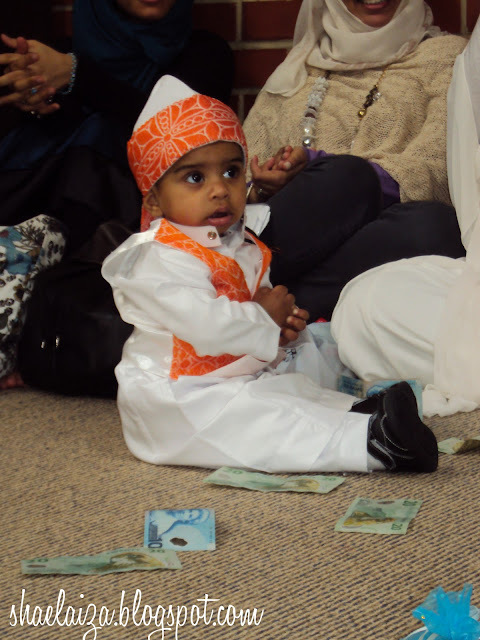 Hey even babies get totally styled up during Eid. Later on my girlfriends and I went to Tunnel Beach, which by the way is only 5 minutes from my house, and I never knew. Well actually, it was more like a mountain and a beach because to get the the actual beach we had to walk down a mountain and that took us about 20 minutes. It was lambing season so there were sheep manure EVERYWHERE. It was gross but we just laughed it off and had an incredible time together as you can probably tell! I hope you're all having a blast with your loved ones at the moment! Once again, Eid Mubarak and kol 3am wa antum bekhair (may you have goodness in the years to come). gorgeous!! you look beautiful!! 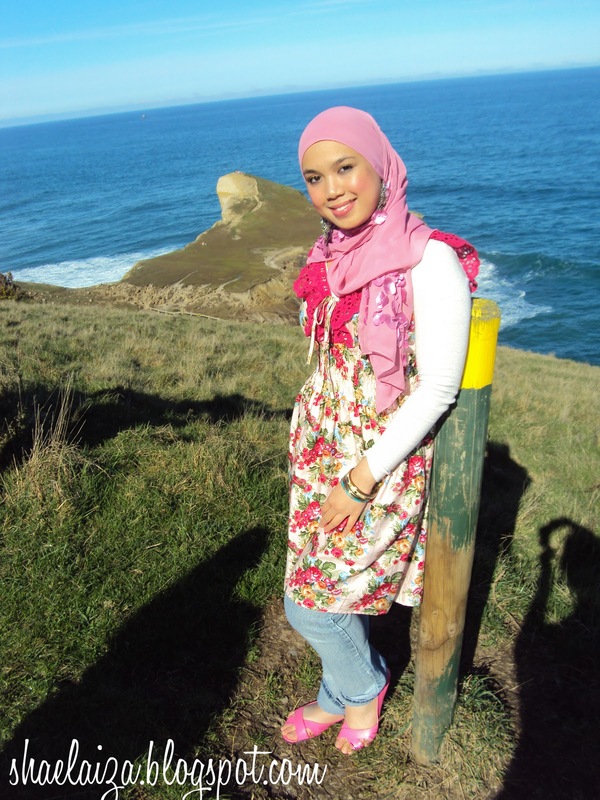 Love both outfit and that hijab style suits you well!. Your friend did a really good job on the henna too. Sounds like sheep manure in New Zealand is like the cat and dog poop that I encountered in Spain. It's everywhere! Beautiful scenery, very fortunate to live around such views! You look gorgeous mashAllah, loving your pink hijab! hey you look like a velascarves model..hehe Is that from Vela?? Really nice on u. mashaAllah!!! you are absolutely gorgeous darling!! :D EID MUBARAK! Everyone looked so stylish there. and Oh. My. God. I love your handbag. Eid mubaruk hun!! u look beautiful as per usual, love the floral dress! Eid Mubarak and you all looke lovely! 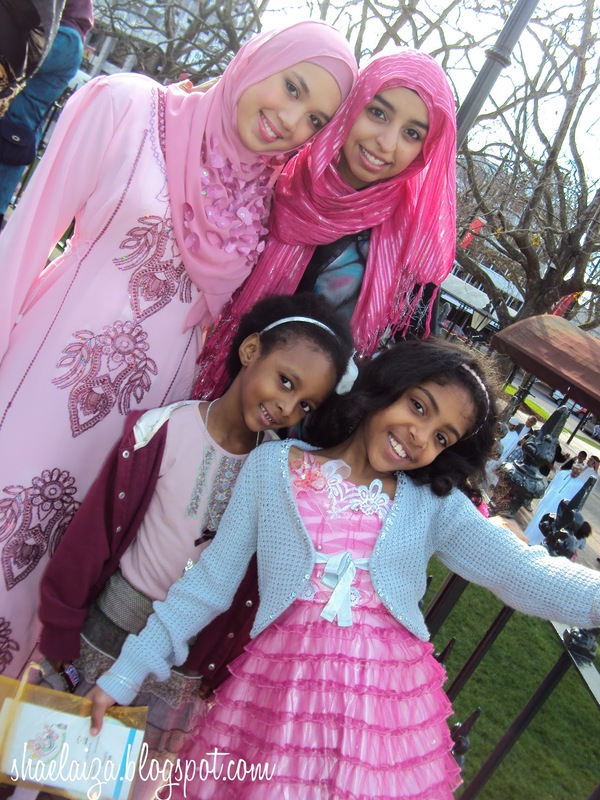 Love your pink abayah! You look beautiful in all the pictures, as always, mashallah! Eid mubarak. Lovely pictures and you have lots of Arabs there. Hi! You will like my blog.Come and read it. edimmcrappy: It sure is, I feel really blessed alhamdulllah. Selamat Hari Raya to you too! Amina: Dunedin misses you, Amoon! Wasn't the same without you.. not at all. Smiley: Hey darlin', Eid Mubarak to you too! 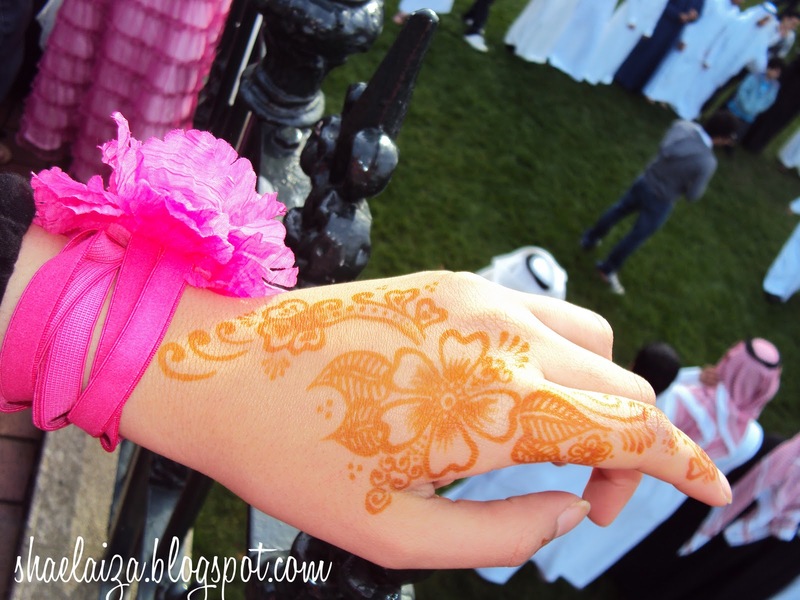 liloo: Always a pleasure to share a part of my life with my blog buddies =) Hope your Eid in France was amazing! Rene: Heyyy you! Eid Mubarak... bet you had a very special Eid this year ;) Please give little Safiyya a kiss for me. Hijabee: Thanks girly! Eid mubarak. Smart CoOKie : Eid sa3eed hun! Lol yes we do have a lot of Arabs for a little city like ours. They are mainly students. mishkash: Shukran and Eid Mubarak sis. hijabi hippie hypo: Thank you hun. 'Twas an amazing Eid =) Throughout Ramadan we barely had a sunny day but during Eid it was like summer! 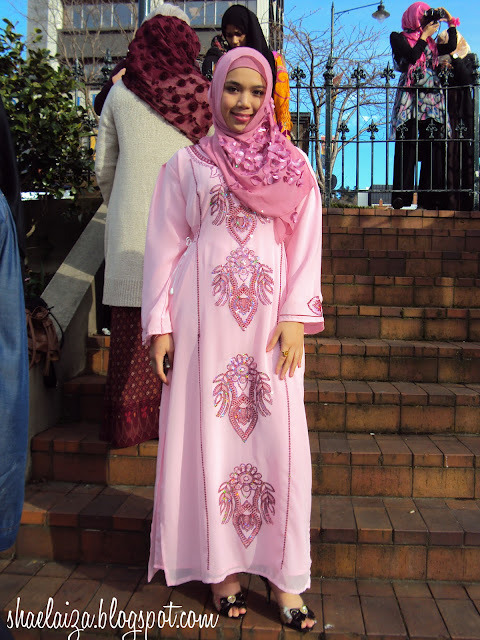 The pink abaya is gorgeous! Beautiful!! !I'm happy you had a nice Eid. All of the pictures are a joy to see and you're a gorgeous young lady :)! really really love the scarf! thought it was vela's too..and yea it's true, too hard to choose, vela really has very gorgeous colors and designs :) i wish i can make up my mind one day. Yunne Osman: Thank you =D Yeah we should have 'like' buttons on blogger! RS: Awwh that's so sweet. 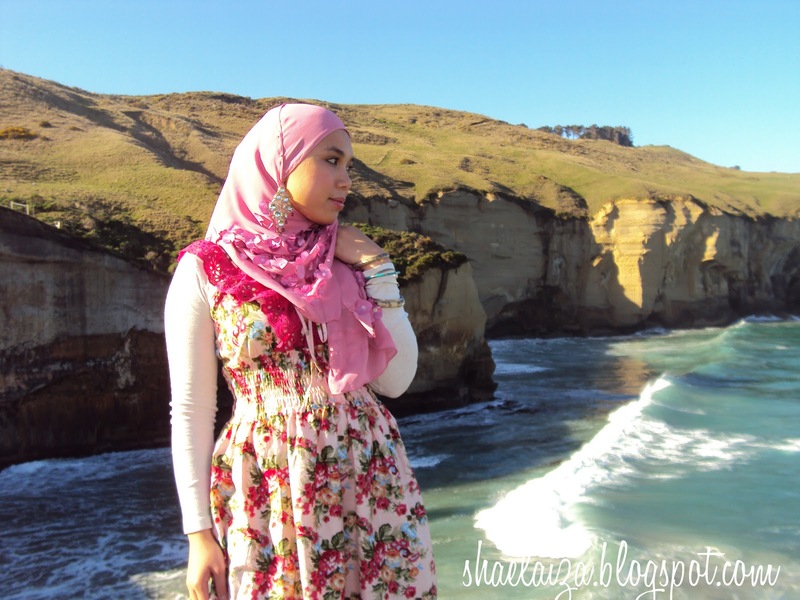 There are many stylish hijabis and the good thing is heaps of them own blogs. Check out my link list. 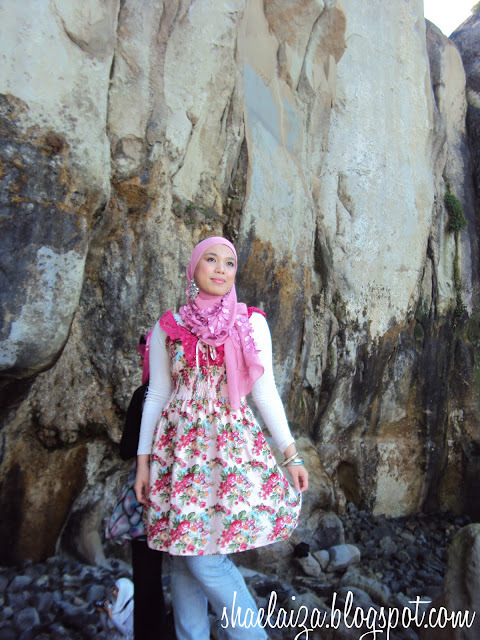 Hijabis On Ranting Tour: Shukran Naz =) Hope Eid was just as fun for you. Shima: I think it's a Sony W180. It's just a simple digicam but it takes really nice photos when they're natural light.